Sometimes, you have to craft it out to work it out. The gals welcome our first ever guest to the show, our sweet friend Kathleen, to talk about art journaling. After drawing and collaging for a full week, we’re here to share the results. 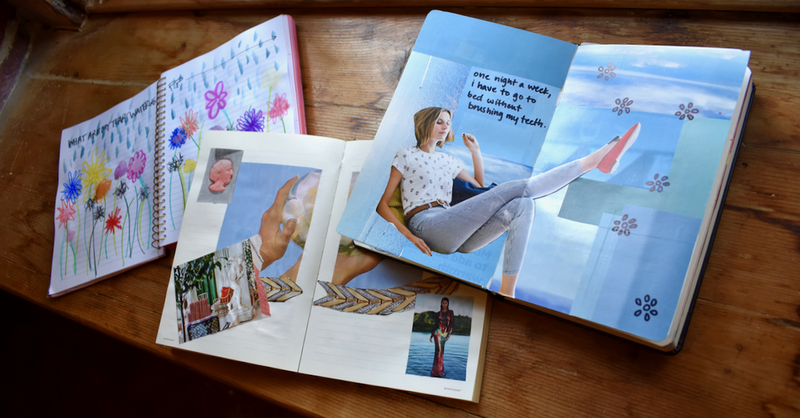 Check out all our gorgeous journal entries/works of art, here. Maggie's hometown murder story about the Southside Strangler. Listen to episode 9 on iTunes.